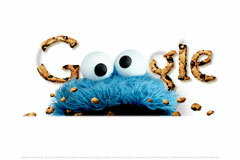 A Google Webmaster Help thread asks if there is an SEO benefit to going the cookieless domain route. The idea behind a cookieless domain is that it can speed up transferring static files by the browser not having to send cookies with every request. This is something that can help to reduce the time needed to render a page, if you have static, shared content. A cookieless domain does not have any direct SEO effect. However, as mentioned there are situations where we may choose to use site speed as a ranking factor, so if you have a site with extremely slow-loading pages, it may make sense to review this as well as the other page-speed recommendations to help speed things up. For more on cookieless domains, see this page. Previous story: Can AdSense Publishers Sell Direct Ads?